With our attention spans now measured in seconds, service branding and protection of a brand is becoming ever more important. With that in mind, online payments service PayPal is suing music streaming service Pandora over its logo design being far too similar to its own. 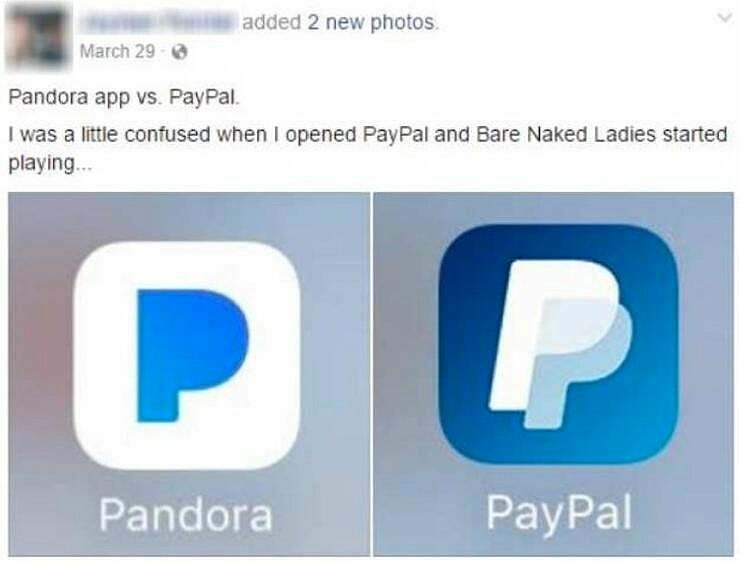 According to Billboard, PayPal believes Pandora's use of a light blue "P" logo is causing confusion among consumers and apparently has the evidence to back it up. A letter was initially sent to Pandora by PayPal, which the company claims was ignored. Then PayPal spoke directly with Pandora over the phone, but Pandora did not recognize the branding confusion PayPal was talking about. Finally, a 110-page document was sent to Pandora containing examples of customer confusion, mostly taken from social media comments. Pandora then ended the discussion and PayPal decided the only way forward was to bring a trademark infringement lawsuit against the company. That lawsuit was filed on Friday, May 19, in the U.S. District Court for the Southern District of New York. PayPal is seeking legal costs, damages and for Pandora to stop using its current "P" logo design. Pandora is not commenting publicly on the dispute at this time. As you can see from the two logos above, they are similar, but still relatively distinct. However, you have to consider how small these logos appear in icon form on devices such as smartphone displays. You could easily mistake one for the other. PayPal has time on its side in this lawsuit. The PayPal "double P" logo was introduced in 2014, where as Pandora rolled out its "P" design in October 2016.